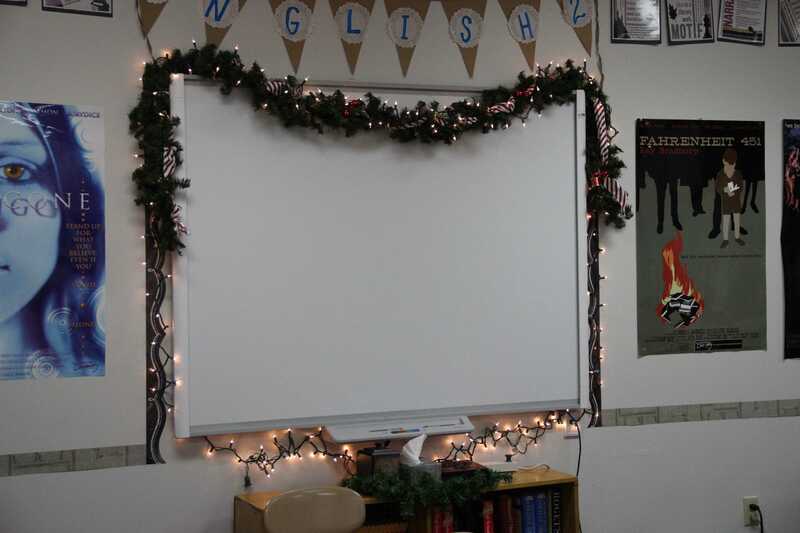 Coppell High School GT English II teacher Amelia Antillon decorates her classroom all out to spread the Christmas spirit. 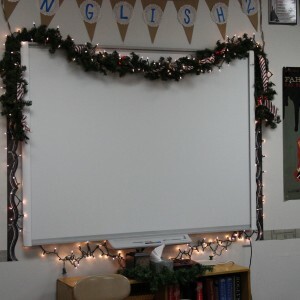 She really enjoys Christmas and the holidays and plans to spend time with family and friends. 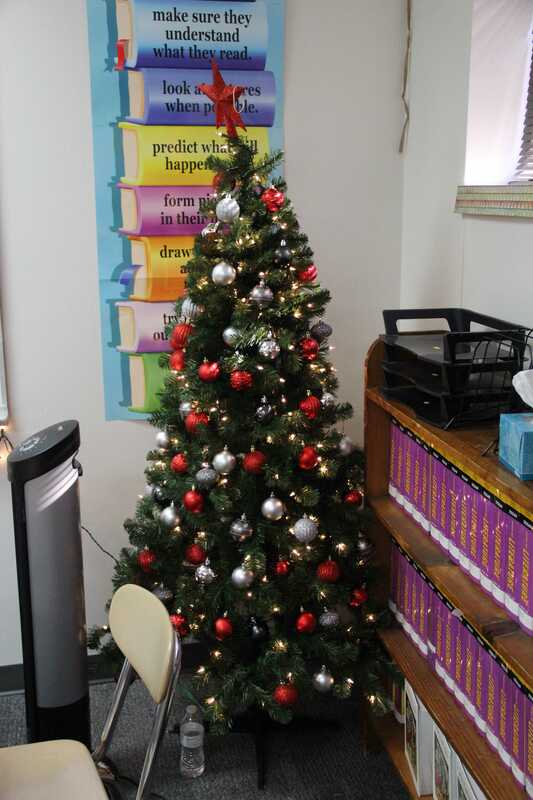 Coppell High School Sidekick newspaper staff members put up the christmas tree in D115 on Monday during class. 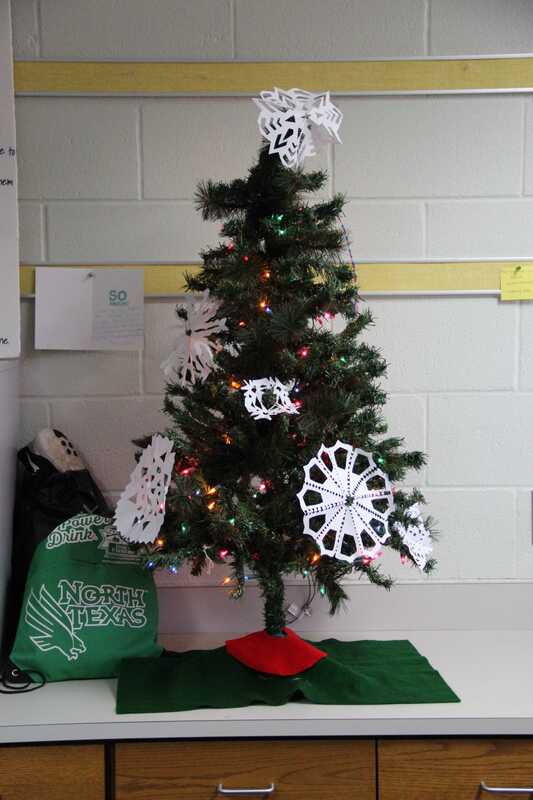 Students came together to make snowflakes and ornaments during the holiday season to decorate the tree. Photo by Megan Winkle. 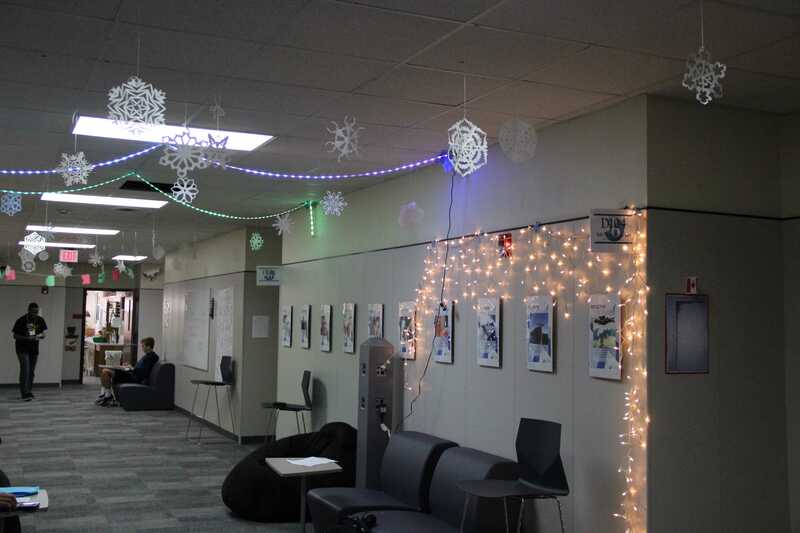 Coppell High School senior IB students Saman Hemani and Lea Balcerzal put up snowflakes and lights down the IB hallway on Monday. 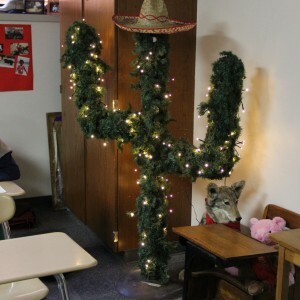 They both contributed lots of time and effort to show the Christmas spirit. Photo by Megan Winkle. 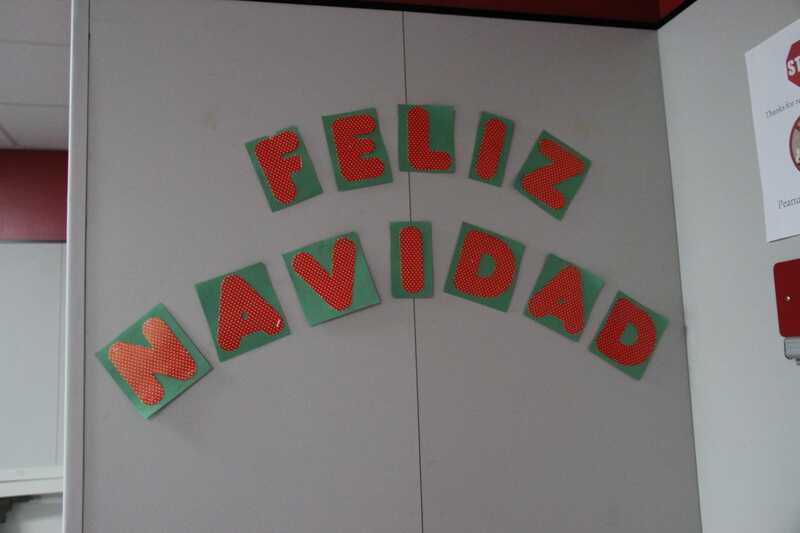 Coppell High School foreign language hall puts up letters spelling “Merry Christmas” in Spanish to celebrate the holidays. 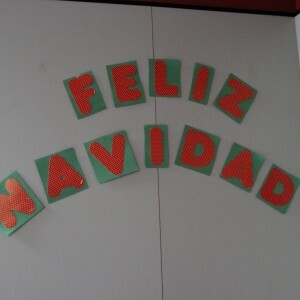 Spanish teachers wish everyone a Merry Christmas and Happy New Year. Photo by Megan Winkle. 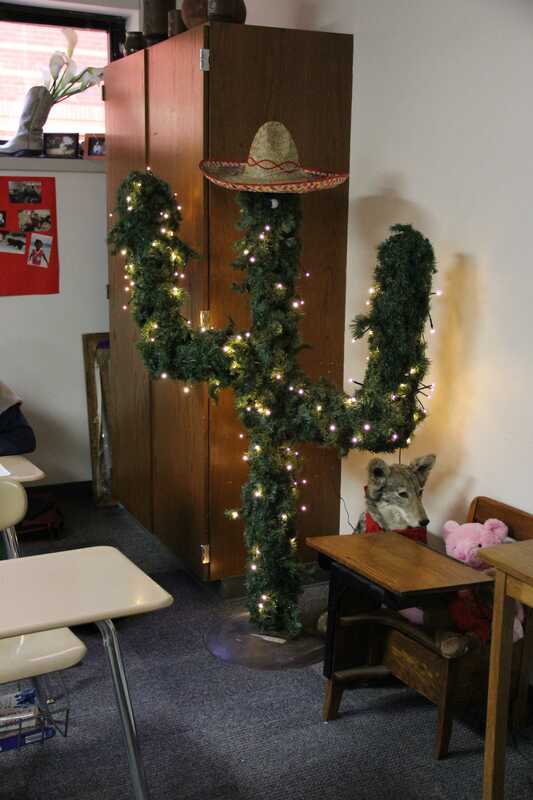 Coppell High School Pre-AP Spanish II teacher Judy Garrett puts up lights around a cactus in her classroom. Photo by Megan Winkle. 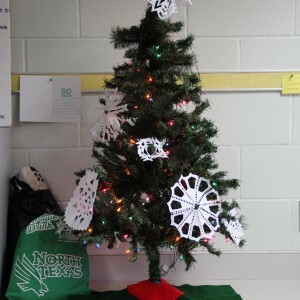 Coppell High School GT English II teacher Amelia Antillon decorates her classroom all out to spread the Christmas spirit. 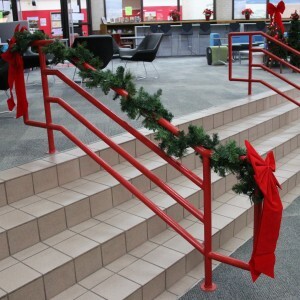 She really enjoys Christmas and the holidays and plans to spend time with family and friends. Photo by Megan Winkle. 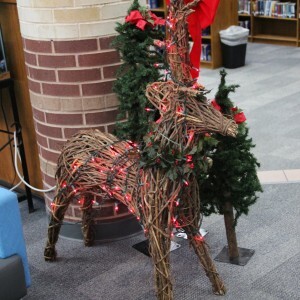 Coppell High School library put up a reindeer decoration in spite of the upcoming break and holidays. 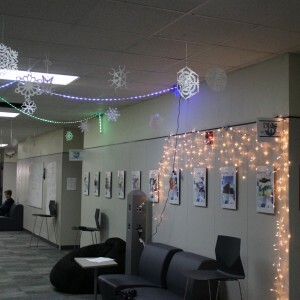 It is located near the front as soon as you walk in to spread Christmas cheer. Photo by Megan Winkle. 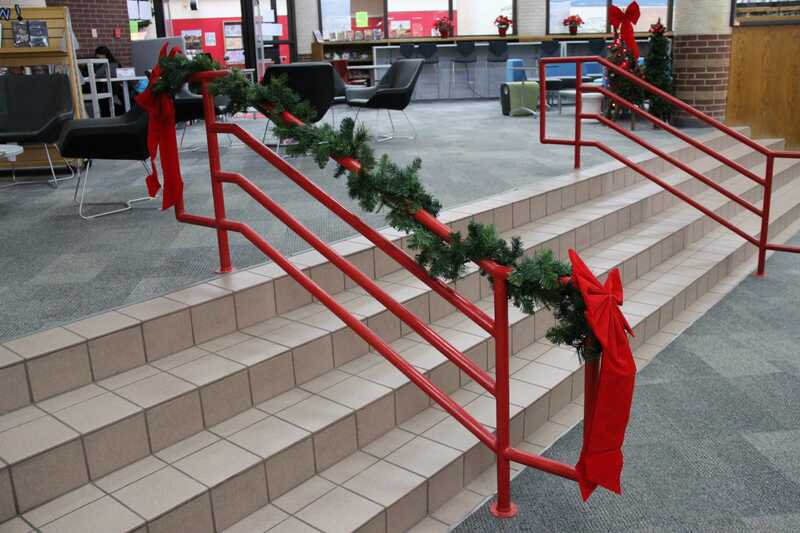 Coppell High School library teachers put up decorations around the staircase railings during the holidays. 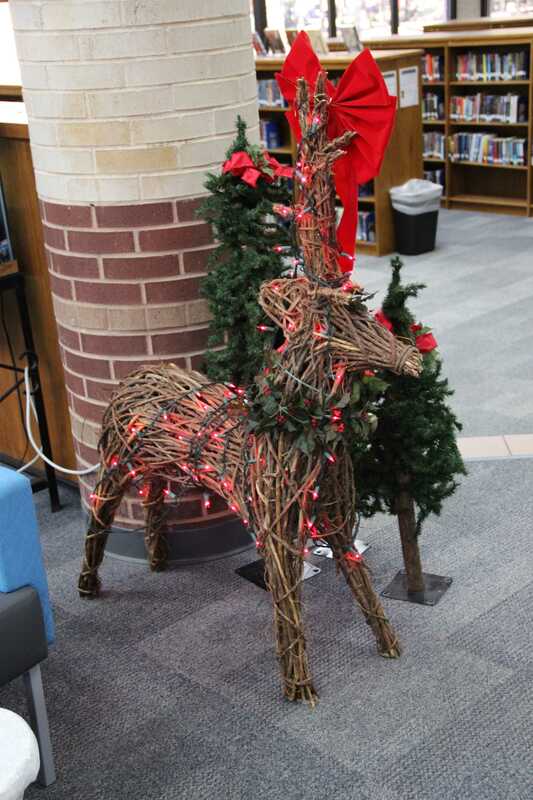 With Christmas break approaching, the library is spreading cheer and bettering the holidays. Photo by Megan Winkle.